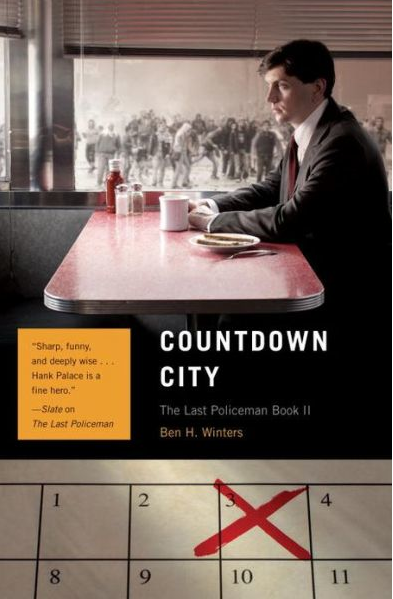 Ben H Winters’ The Last Policeman was in my top 5 books of 2012. I found it a fascinating read with an unusual premise: a diligent policeman who investigates a murder despite the imminent end of the world. Countdown City takes up the narrative three months before the day that the meteor is due to hit the planet. Hank Palace has now left the Concord Police Department as the work has dried up and investigators are only cursorily trying to solve crimes. He is hired by a businessman to find his missing son-in-law although it soon becomes apparent that the man’s disappearance might not have been involuntary. However, as US society disintegrates around him, the quest for the missing man takes on a wider search for what it means to be a human being when the essence of society is crumbling around you. The Last Policeman justifiably won an Edgar award for its high quality writing and unusual plot. Countdown City continues very much in the same vein although the narrative has moved forward by three months and US society is patrolled by vigilantes and armed gangs. The extent to which structures that hold together a place can quickly disintegrate is shocking and although has been well documented in films, hasn’t really been covered in crime fiction. Hank Palace, an honest policeman in a shaky world, is true to the character we encountered in the first book. As well as being practical, he is also a romantic at heart and has to make some difficult choices when the reasons for the man’s disappearance emerges. The hints we got in book one that all might not be as it seems with the approaching meteor wasn’t really explored in this novel and I suspect will be left for the final part of the trilogy. I have a feeling that three books will be perfect for the series. Countdown City is another strong read but I found myself becoming increasingly impatient to know what happens in the final days before the meteor hits. Fingers crossed that all will be revealed in the last book. Thanks to the publishers, Quirk Books, for sending me a review copy. Thanks for this review, I loved The Last Policeman and am impatient to read Countdown City, old Quirk Books need to get a copy to my local library asap! In the first book I enjoyed the descriptions of differing reactions to the End of the World – the bucket listers, the crime sprees, the religious zealots, the hedonists and those who carried on as per normal.. Thanks for the comment and pleased to find another Last Policeman fan. It really is a quality series and I am looking forward to its completion. Good question, Margot. I hope to carry on reading this writer as he writes such quality prose. Great review, Sarah. I was afraid to read too much about this book since I haven’t read it yet. But your review was perfect. 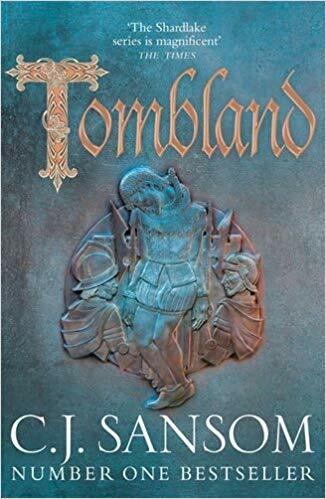 My husband liked this book a lot, and I am looking forward to reading it in a couple of months. Great, Tracy. I’ll look forward to your review. I think you’ll like it…. The Last Policeman was probably my favourite book last year and I thought Winters pitched this perfectly as the middle of a trilogy. Like you I think there’s a lot riding on a good resolution in that last instalment! Yes, fingers crossed for book 3. Argh I’m falling behind – yours was one of the reviews that made me want to read the 1st book, but haven’t yet. I need to catch up! I’d highly recommend this one, Moira. Great! I think you’ll enjoy it and I’ll look forward to the review. I’m still undecided over these – probably more because of time and too many books already – so I’m trying to cut-back, but I’m still tempted by the series……..damn! I know I probably say this about every book, Col, but this series is really something special.